My son Ethan loves shrimp. A few months ago, I shared my recipe for Air Fried (Air Fryer) Shrimp. The easiest recipes for shrimp are air-fried, they create a great flavor. Air frying shrimp is the easiest, quickest and the most delicious way I know to cook shrimp. Because you can not crowd your air fryer basket, you will have to do several batches, to air fry a few pounds of shrimp. 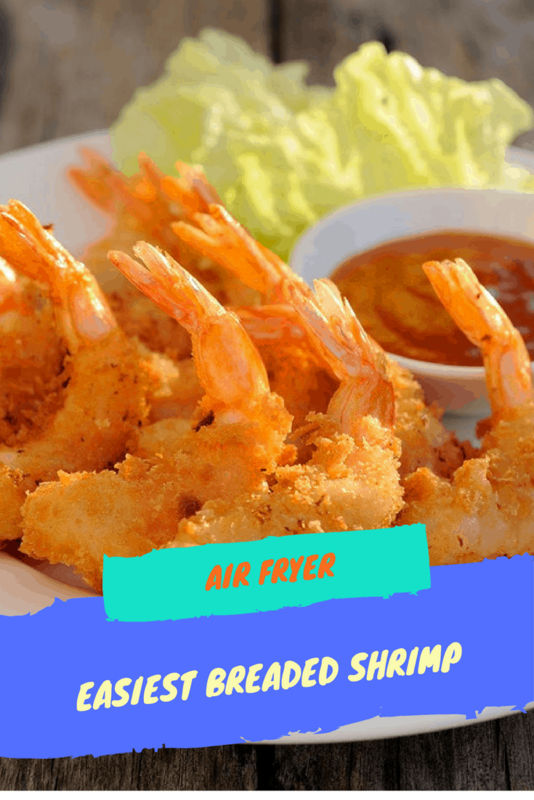 An entire batch can be done in less than 10 minutes in your air fryer Shrimp in the air fryer are always perfectly cooked, with a hint of crisp on the outside, but tender inside. You can use this method to make a small or huge batch of shrimp, just keep on repeating, all of the steps in your air fryer, until all of your shrimp are done. A note about buying shrimp, all shrimp will work in this recipe. But the best shrimp to purchase for this recipe, and that will give you amazing results are large or extra-large shrimp, deveined, peeled and with their tails off (it will save you a mess later, but the tails on, do make for a more appealing dish. But, frozen shrimp can be used, and if you have purchased frozen shrimp, be sure to thaw it completely before cooking. Pat The Shrimp Dry– Use paper towels to remove any moisture, this is really important if your shrimp were frozen and have been thawed. Toss With Oil– Except if you are using a marinade, toss your shrimp with oil until the shrimp are evenly coated. 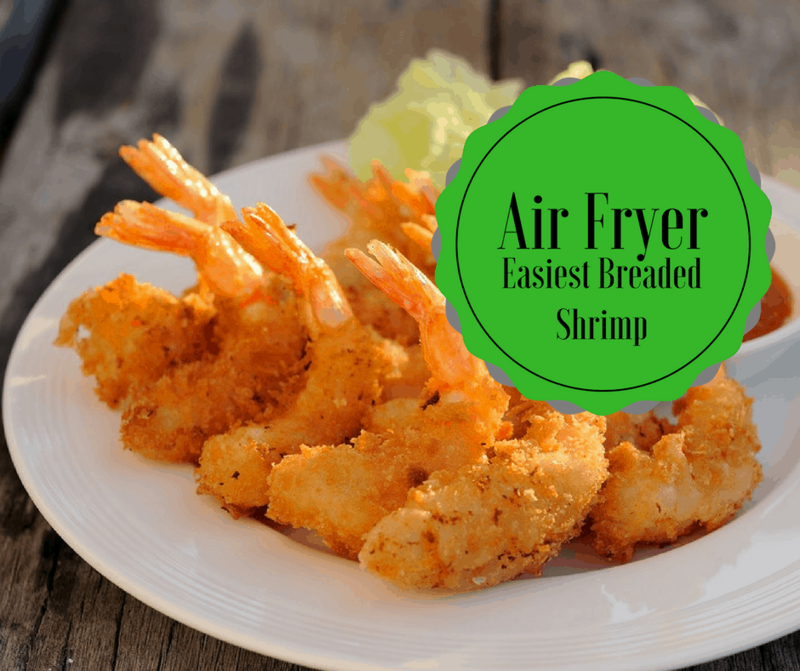 Arrange in the Air Fryer Basket– It is really important that the shrimp are in an even layer, without being crowded. Season–Generously season the shrimp with salt and pepper. Know When They Are Done- When you pop them into the air fryer basket, make sure to keep a close eye on the shrimp to be sure that they do not overcook. You are looking for a bright reddish pink color. Serve– As soon as the shrimp are ready to go, remove the air fryer basket and shake them onto a serving dish, hot shrimp are the best! How many shrimp do you air fry at once? Seems like it might take an hour to air fry a pound? I love fried shrimp, please advise! Are these raw shrimp or cooked shrimp?